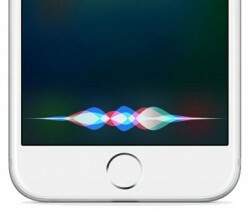 Apple's next-generation 4-inch iPhone is more likely to include variants of the A9 and M9 motion coprocessor chips, allowing for always-on Hey Siri, according to 9to5Mac. The report claims the so-called "iPhone 5se" will likely replace the iPhone 6 and iPhone 6 Plus in Apple's fall 2016 smartphone lineup, while the iPhone 5s will then be discontinued. Because the iPhone 7 will include a faster chip potentially known as the A10 processor, Apple likely does not want its new 4-inch iPhone to fall two processor generations behind in just six months. 9to5Mac and other sources originally expected the new 4-inch iPhone to have an A8 chip with M8 motion coprocessor, but Chinese website MyDrivers last week said the device will have an A9 chip instead. Apple has allegedly tested multiple prototypes with both A8 and A9 chipsets, likely fueling the conflicting reports. Today's report also claims the new 4-inch iPhone will have 16GB and 64GB storage models available, which again corroborates Chinese website MyDrivers. Other possible specs reported elsewhere include a 1,624 mAh battery, 1GB of RAM, Bluetooth 4.2, Apple Pay, VoLTE and 802.11ac WiFi, but 3D Touch appears unlikely. The next-generation 4-inch iPhone reportedly entered mass production last week, ahead of a rumored March event announcement, alongside the iPad Air 3 and Apple Watch updates including new bands and possibly other minor improvements. The smartphone is expected to ship in late March or early April. The iPhone 5s' design was flawless, their peak aesthetically thus far. 1GB RAM? Please don't do that again... otherwise Safari won't get snappier. And what's the point of 16 GB storage. That's like 3-5 Apps and your phone is full. The iPhone 6 and 6 Plus were a pathetic upgrade from the iPhone 5s (basically same chip and camera with really minor improvements), so it makes total sense. But there's absolutely no justification for Apple giving that phone 1GB RAM. That's just being blatantly greedy for what? 3 cent savings? "Yeah, let's cripple the user experience because we save ourselves $0.03 in production. Margins, people! Margins!" Don't forget this is the entry iPhone, not a flagship. If you don't like it, then it's not for you. Stop whining. 1GB of ram? are you serious? But there's absolutely no justification for Apple giving that phone 1GB RAM. That's just being blatantly greedy for what? 2 cent savings? Its a greedy money making machine that the masses haven't figured out they don't care about the consumer. Hypocrites running the company now playing the masses for fools. Good for them for getting away with it for so long, but all bubbles burst when they get too high. There's absolutely no justification for Apple giving that phone 1GB RAM. That's just being blatantly greedy for what? 2 cent savings? Um, I don't think this will be the reason iPhone 6 and 6 plus will be discontinued in the fall. iPhone 7 will be that reason.